When it comes to booking ski holidays 2019 could be the year for new experiences. Grab your mates and book one of many group snowboarding holidays and have a go at this thrilling winter sport. 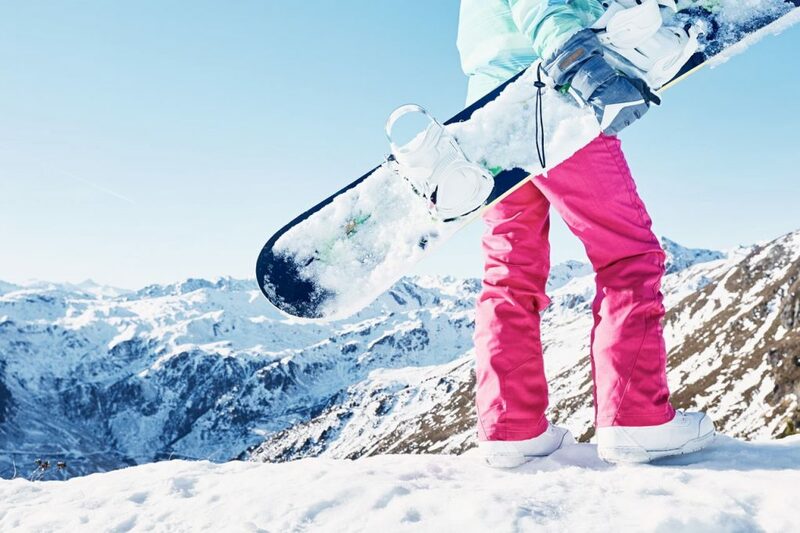 Whilst many skiers tend to stay within the realms of practicality when it comes to choosing their gear, snowboarders definitely seem to have the trendy edge, opting instead for practical yet ultimately cool clobber to ensure they are protected yet chic on the slopes. Retain your body heat and shut out the cold with some decent snow pants and jacket. Invest in some good thermal basewear products to keep your body at its optimum temperature throughout the day. Although a lot of snowboarders claim that helmets hinder their sense of freedom and proficient riders searching for a chilled run could probably get away without one, ultimately, you’re always at risk of fellow boarders colliding with you. If you are a beginner, or are a little more advanced and want to do death-defying tricks, a helmet is a no-brainer. Better be safe than sorry. Fleece lined facemasks are quickly becoming the cool accessory for all snowboarders. Be incognito on the slopes with a face mask whilst keeping the cold and the sun at bay. Protect your skin from becoming chapped with a cool and stylish face mask, or opt instead for the more practical balaclava or neckwarmer. As with skiing, a pair of goggles can be super handy, particularly when it comes to blocking out the sun’s rays whilst maintaining mist-free vision. If you’re after a trendy alternative that will keep you looking cool on the slopes, opt for a pair of Oakley glasses or similar to keep the harmful rays at bay whilst maintaining your style. A definite must-have on the piste to keep the cold from biting at your fingertips. Opt for a pair of Icebreaker Quantum gloves to provide good insulation and durability whilst not being overly bulky.